Matt later noticed the outrage that his photo had caused so he deleted his account. Hank was a puppy who belonged to Sheela Deskins. Sheela loved Hank very much but things soon turn ugly. Sheela’s boyfriend, Matt McMichael, disliked Hank as he thought that Hank was barking excessively. Both Matt and Sheela live in Eugene, Oregon. Matt had decided to cease Hank’s barking once and for all. He decided to tie a plastic cord which was commonly used in shopping malls, around Hank’s muzzle. 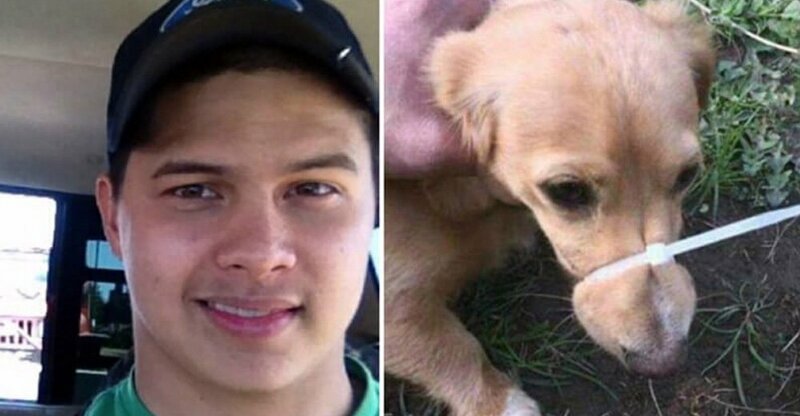 Unfortunately for Matt, the photo of Hank quickly went viral and sparked outrage among netizens worldwide. Sadly, Matt did not face any charges due to his actions.